Aviation Parts Service d.o.o. (Ltd.) offers complete spare parts, material and equipment supply support for wide variety of types of general and business jet aircrafts. Our team located in Serbia, as well as our competent colleagues from Germany, Belgium and USA, are always at your disposal. 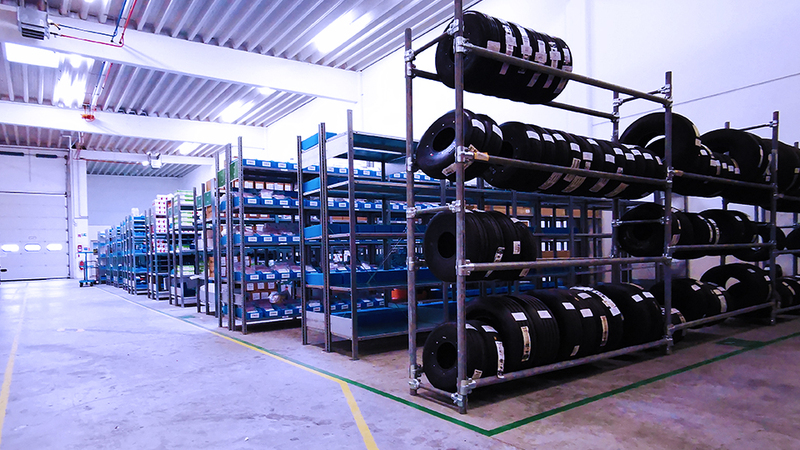 With the central warehouse in Mönchengladbach (Germany) equipped with more than 50.000 line items and four world-wide locations, we can support your spare part needs cost effectively and swiftly. 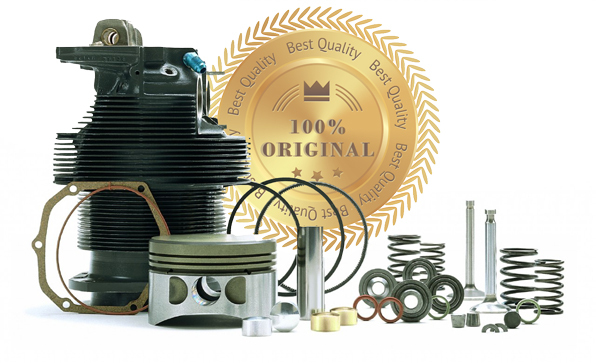 What is not available in our stock is only one click away through our direct contacts with all the largest parts and assembly’s manufacturers. Accesses to all the relevant aircraft spare parts supply platforms allows us to help our customers to find even products that has been discontinued or obsoleted by the manufactures, what makes APS valued partner in supply chain. Our customers can find the largest selection of FAA/PMA approved products in Europe in our stockroom, which means high quality for the lowest price. Flexibility of our service is very important to us and we value after highly sales support on which we work daily to improve from better to best. 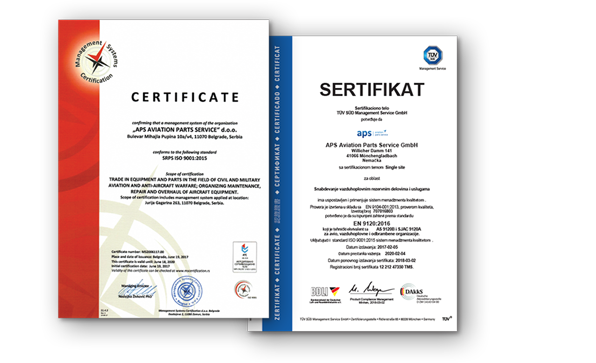 To achieve high quality service our group has implemented following civil certificates: ISO 9120 (Germany), ISO 9001 (Serbia). In the form you can insert up to 5 pieces by adding the row to the green icon (+) plus. If you have requests for more than 5 parts, upload a list of parts.